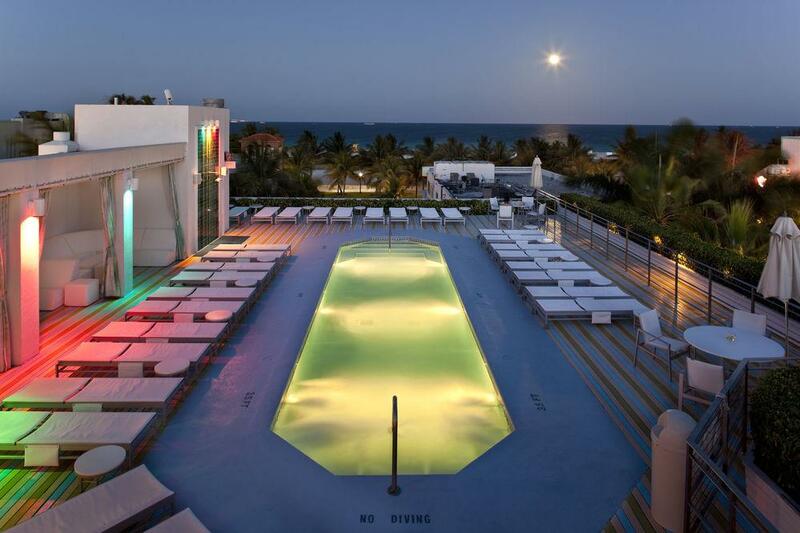 Rent The Hotel of South Beach | Corporate Events | Wedding Locations, Event Spaces and Party Venues. Originally built in 1939 by master architect L. Murray Dixon, today the hotel encompasses 73 deluxe rooms and suites, a rooftop pool with panoramic ocean views and Spire Bar & Lounge – a chic hotspot located rooftop behind the historic Tiffany spire, available for private events. Let The Hotel of South Beach impress your guests & clients with our unique event and meeting spaces. From cocktail receptions, to luncheons, to meetings, our team creates the perfect ambiance with true South Beach style. From fashion photography to movie shoots, Miami is the tropical heart of the entertainment industry. The Hotel of South Beach offers competitive room rates for production teams, as well as office and wardrobe space. We have an experienced team that would be happy to help you with Miami Beach lodging, locations, film permits and catering. When the late urban developer/preservationist Tony Goldman and daughter Jessica Goldman Srebnick, a former fashion industry executive, tapped innovative fashion designer Todd Oldham to create South Beach's jewel, The Hotel, formerly The Tiffany, a new wave appeared on the horizon. Its historical November 1998 opening marked the first time an American fashion designer had created all of the interior aspects of a hotel and the beautiful boutique property went on to win numerous awards and accolades. In 1999, The Hotel was named one of 31 top new hotels worldwide by Condé Nast Traveler magazine and in 2007 was listed on the magazine's prestigious Gold List.